As you can see, I tried using a basket to halfway hide the unruly pile. 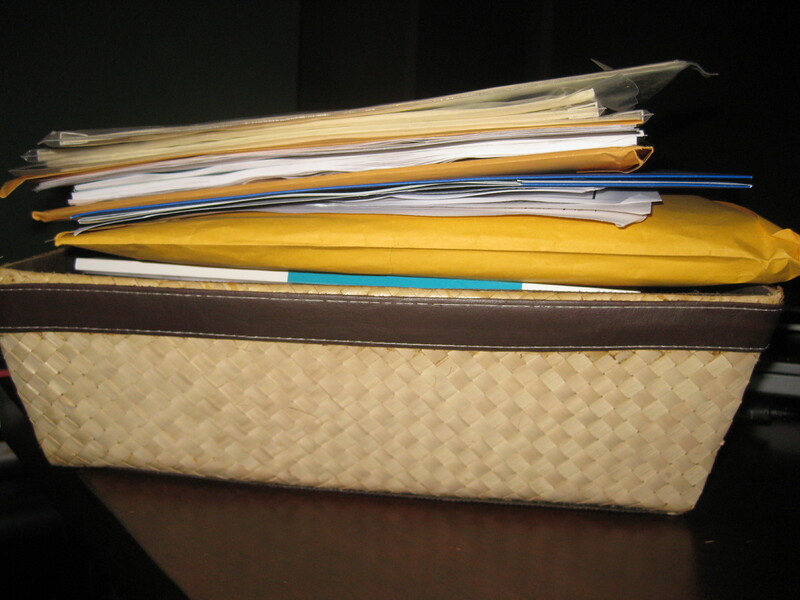 I do have it organized by category – to be filed, need to respond, etc. 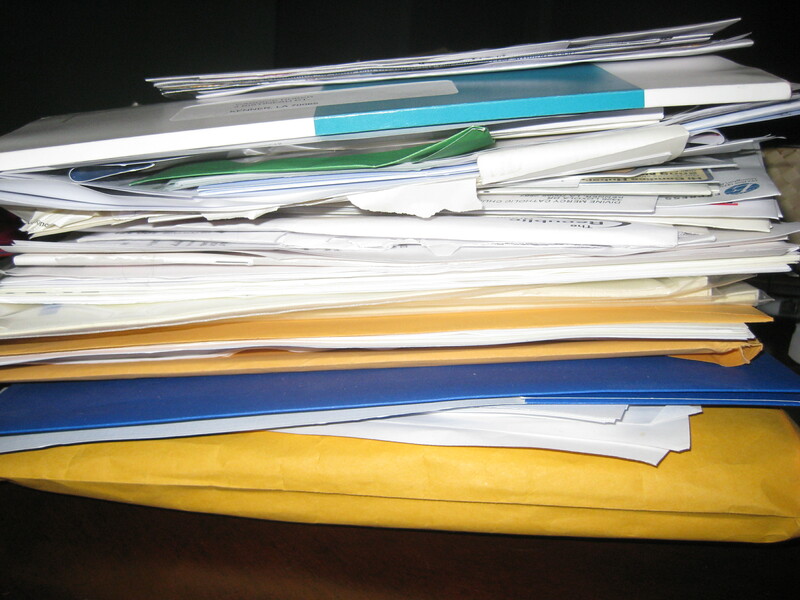 ; however, the pile can easily get out of control. Since these piles are making my table look ugly and taking up space, the first thing I decided to do with my decluttering goal is create my very own home management binder to organize the paperwork and give it a place to live. There are lots of pins on Pinterest out there about creating these, and I looked at a lot of different blogs to get ideas for the binder, templates, and what to put in it. After adding a few ideas of my own, here is what I came up with! Five Star Flex binder/portfolio. I went with the flex kind because they can fit more inside of them, and I wanted to use some document envelopes. Once all the materials I needed were collected, I went to work! I added my manifesto and practices so that I always have them handy. Each section is tabbed, and I used tabs with folders on both sides so that I can tuck in receipts, ads, coupons, and anything else that I need. I also added a Mead folder to each section. 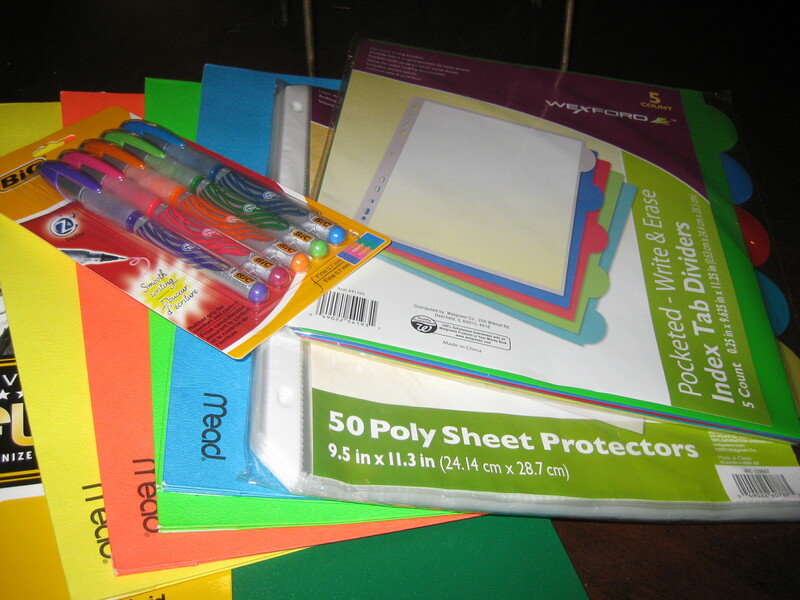 These have velcro closures to hold things that I don’t need as readily available or are worried about falling out of the binder, such as insurance information and important receipts. 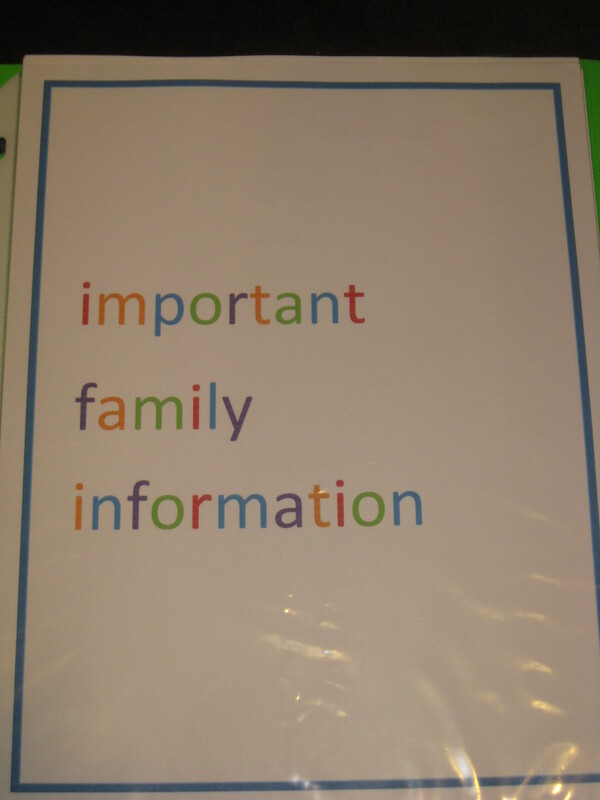 I have the double sided folders/tabs at the beginning of each section and the velcro folders at the end of each section. I’m really happy with the way everything came out! Since it’s a lot for one post, I will have a series of posts listing each section of the binder and what I included. Stay tuned for templates like a bill tracker, important account numbers, pet health history, meal planner, exercise planner, cleaning schedule, and home maintenance log, among others! 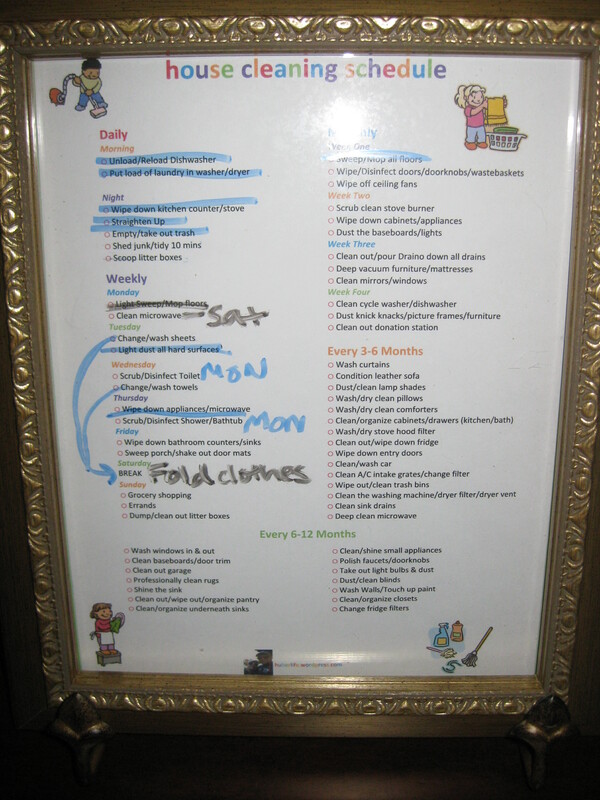 I used the same information inside of my home management binder to make a couple of other things to get organized as well: a dry erase cleaning schedule and grocery list and a magnetic planner that I put on the refrigerator. 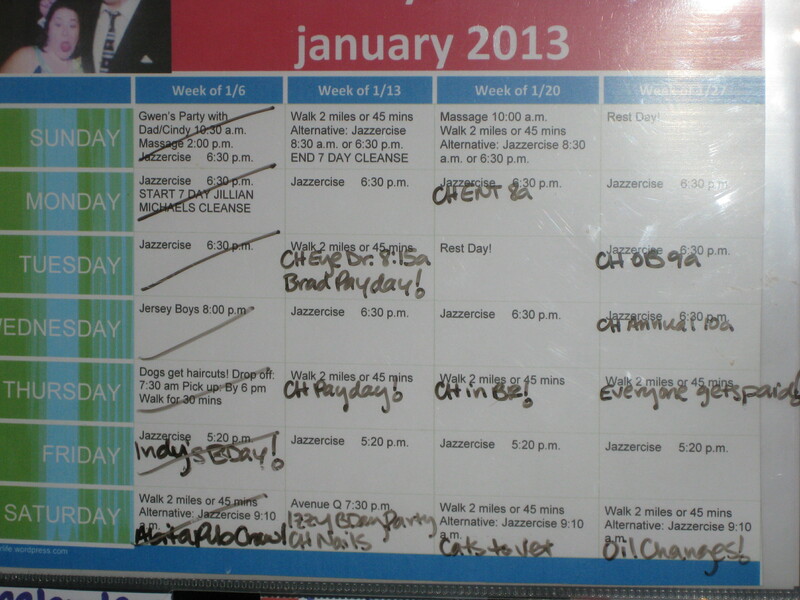 If you don’t already know this, anything that is glass or plastic is dry erase, so you can be pretty creative! 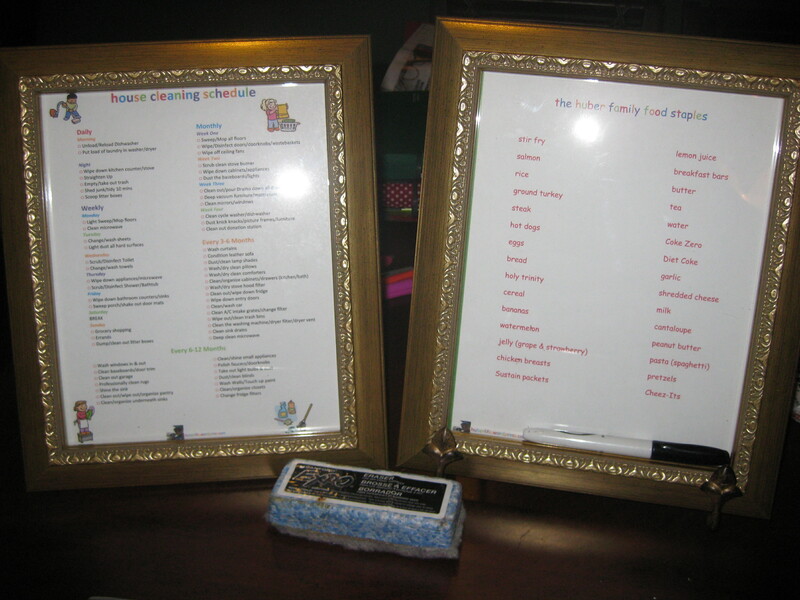 I took some old 8×10 picture frames that I had hanging around the house and framed my cleaning schedule and our food staples list. 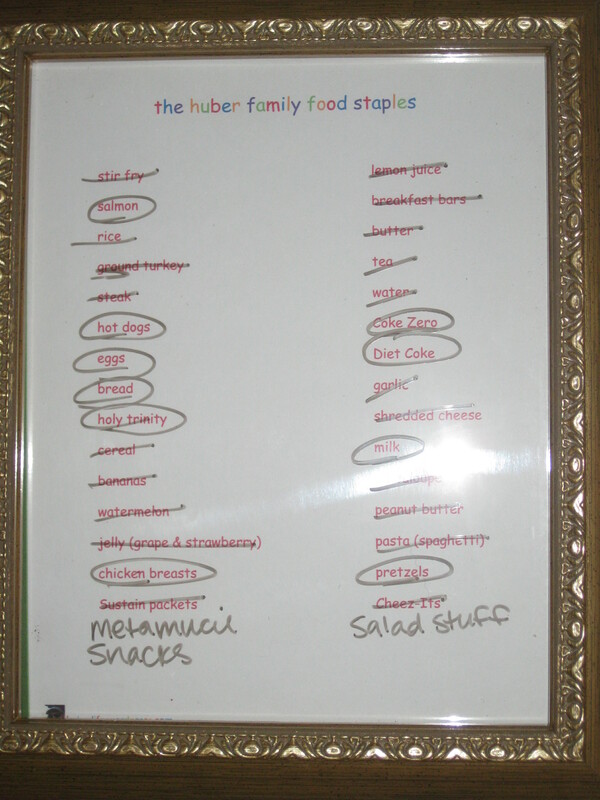 I hung the food staples list on our pantry, and we use a dry erase marker to circle the items we need to buy, cross off the ones we don’t, and to add additional things to the list as we run out. 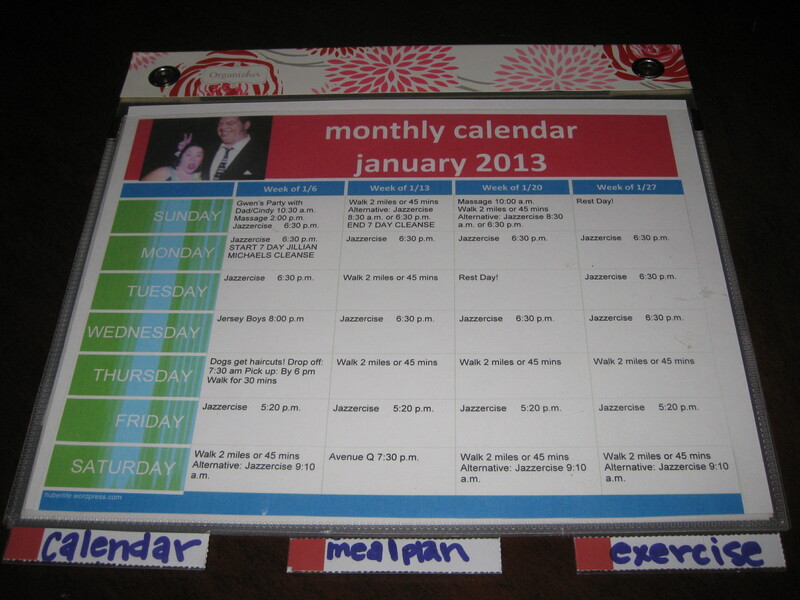 At the end of the week, I use this along with our meal plan to create our grocery list. This way, I don’t have to waste paper or time continuously printing them out. Just erase when you’re done! I just started using these this past week, and it was awesome! What are you doing to get organized this year? Hopefully some of these ideas will inspire you to organize! 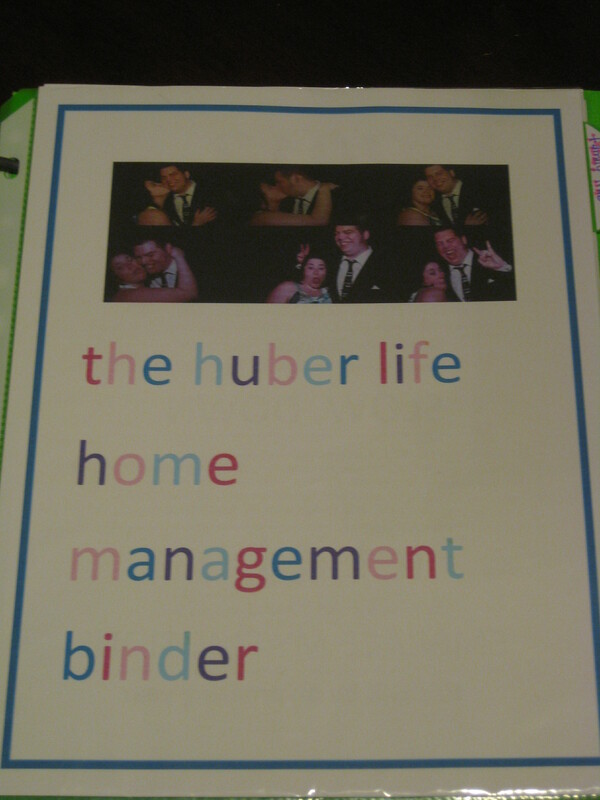 Tags: Home Management, Home Management Binder, Organization, Planning. Bookmark the permalink.